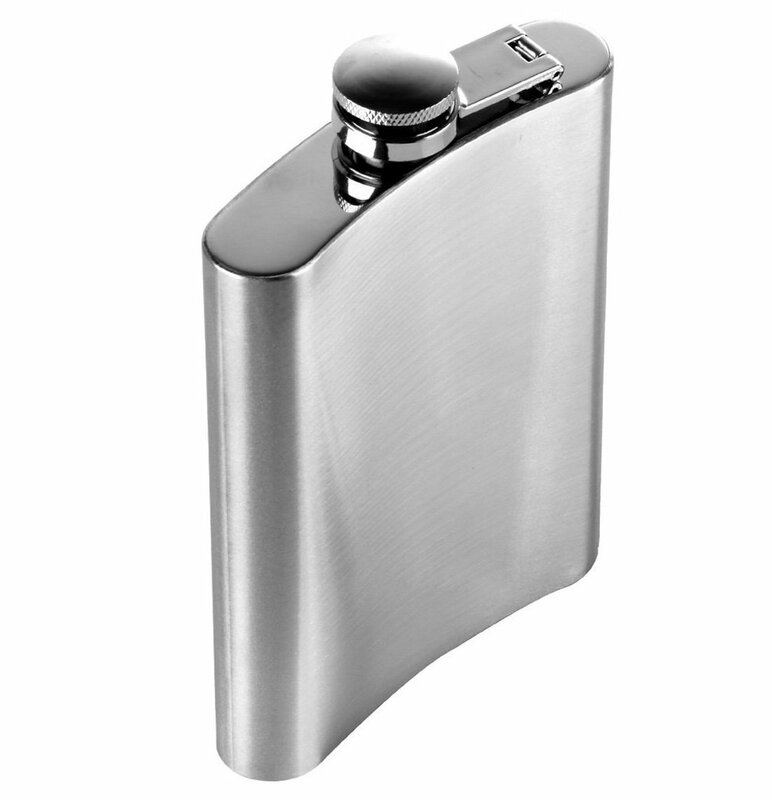 The traditional style Hip Flask in stainless steel. This Hip Flask is the ideal addition to any whiskey-lover's tool set! Stainless Steel Hip Flask Is Virtually Unbreakable and Is Constructed with No Seams, Ensuring A Long-Lasting, Leak-Proof Performance. It Has A Screw Down Cap That Is Attached, So The Cap Won't Be Lost After You Open It. NOTE: The flask is designed to carry alcoholic drinks, and should not be used for beverages with an acid content, such as fruit juices or cordials.